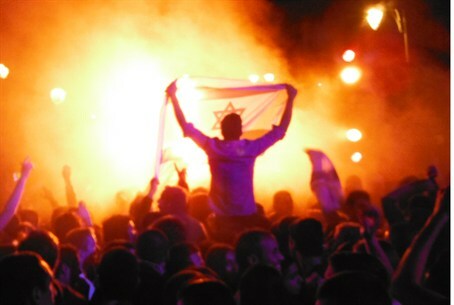 Israelis who attended an Independence Day concert were shocked to hear a song that equated Israeli with Nazi Germany. Israelis who attended an Independence Day concert in Rehovot complained that one of the music groups appearing at the event, called “Franklin,” sang an extremely offensive song that equated Israeli with Nazi Germany on the eve of World War II. According to one spectator, he was “shocked” to be witnessing such a performance on Israel Independence Day. “I don't have a problem with the group's songs – if that's what they choose to perform, that's their choice,” the spectator said in a Facebook posting. “But I would expect the municipality to choose for an Independence Day concert artists who express the essence of Israeli identity, not those who seek a platform to criticize the state.